While not technically a game, Eliza can be considered the granddaddy of all computer adventure games. 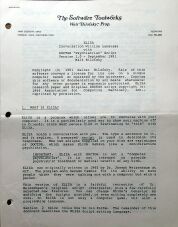 First published in the 1960s as a research project out of MIT, the goal was to design a computer program that could converse with a human using natural language (i.e. English), and give the impression of comprehension. This early experiment in Artificial Intelligence was so successful that many subjects would not believe that they were talking to a computer! 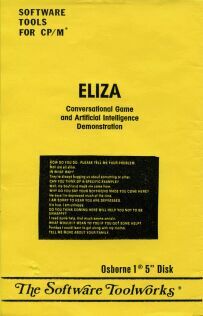 The computer took the role of Eliza, a psychiatrist, and was able to respond to queries by pulling out keywords and cleverly rephrasing the input to construct a response. There can be no doubt that Will Crowther was at least slightly influence by Eliza when he would, years later, write Colossal Cave.